You can come up lot of errors in windows, and to report those errors you have to copy that error and send it to the concerned authorities via any mail or chat. You don’t have to copy those error, let cmd to do it automatically copy those error to clipboard. 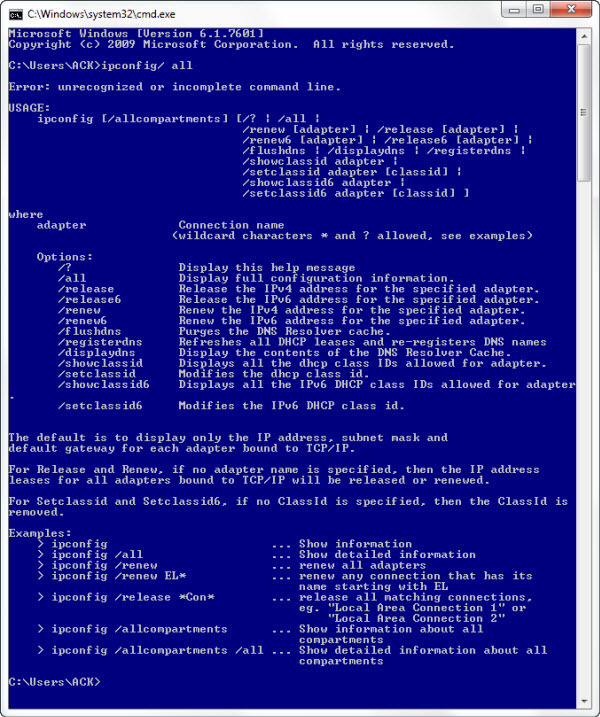 Type command ipconfig/all in command prompt and enter. It will give you information of your IP address, DNS server along with host name, node type etc. 1.Open your web browser and open the IP address of your wifi router. 2.Search the devices attached to it. 3.Find your computer using your IP address, compare it with the searched devices. If any unauthorised devices IP address, you can find it! 1. 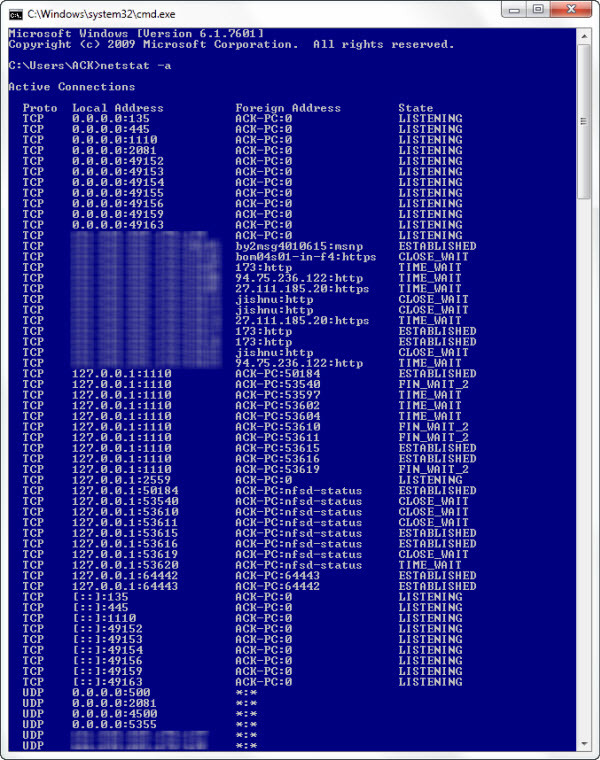 Execute netstat-a command in command prompt, it will provide you the list of computer you are connected to. 2. In proto column, you can see the connection details, if you are connected to external network and also the state of connection established. 3. There you can find who is trying to hack your computer by establishing the connection. In command prompt window, rightclick on tab-properties-enable quick edit mode option. After enabling it, simply any text you want to copy and press enter, it will copied to clipboard and left click on page of where you want to paste it! Now copy-paste made simply instead of using edit option. Open windows explorer and hold shift key before making right click on that folder. 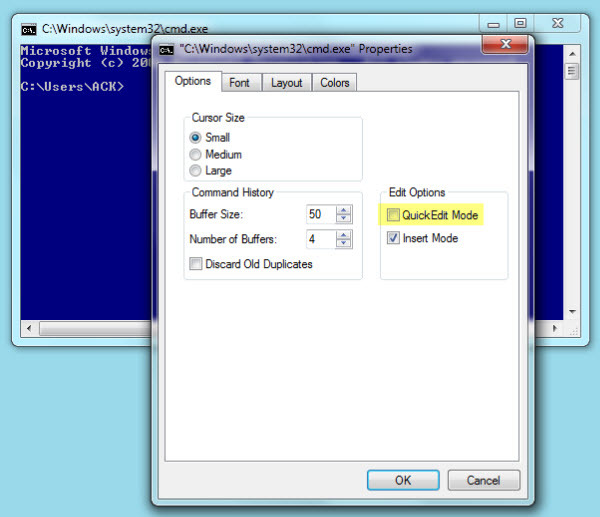 Select “run command prompt here”, click that option and you can command prompt easily anytime you want! You can run multiple commands in command prompt separating with &&, but the execution will be from left to right! 0 Responses to "CMD to perform administrative operation easily in windows"